Should men and women lead differently? 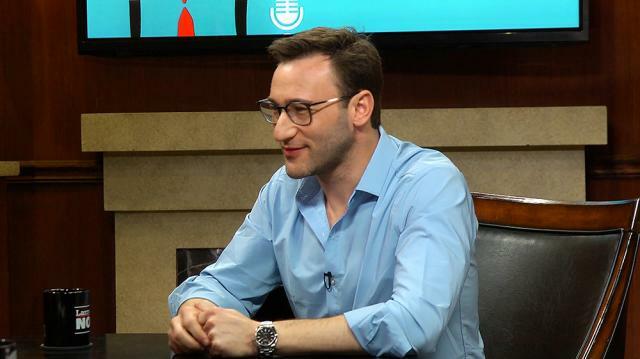 Simon Sinek says we need more leaders who act like women – who bring empathy and patience to companies – to balance out the aggression and decisiveness that has typified leaders for decades. Larry King: Do men and women lead in different ways? Simon Sinek: They do lead in different ways. Larry King: Now women have become more leader-conscious than when I was a kid. Simon Sinek: Yeah. I don’t think it’s that we need more female leaders. It’s that we need more leaders who act like females, and women just happen to be better at that. For too long, we’ve falsely believed that all of leadership is about aggression and decisiveness, traditionally male attributes, whereas true leadership also includes things like empathy, patience, caring, which are traditionally female characteristics. So you need a balance of both. The great leaders have both, it’s not one or the other. But I think the great thing is that we live in a day and age where women don’t have to pretend to be like men anymore, they can be feminine and be leaders. And I love that.